CereCare Philippines Foundation provides psychological and rehabilitation services, and special education program and rehabilitation services and special education program for children with special needs such as Autism, ADHD, Cerebral Palsy, Down Syndrome and other similar conditions. 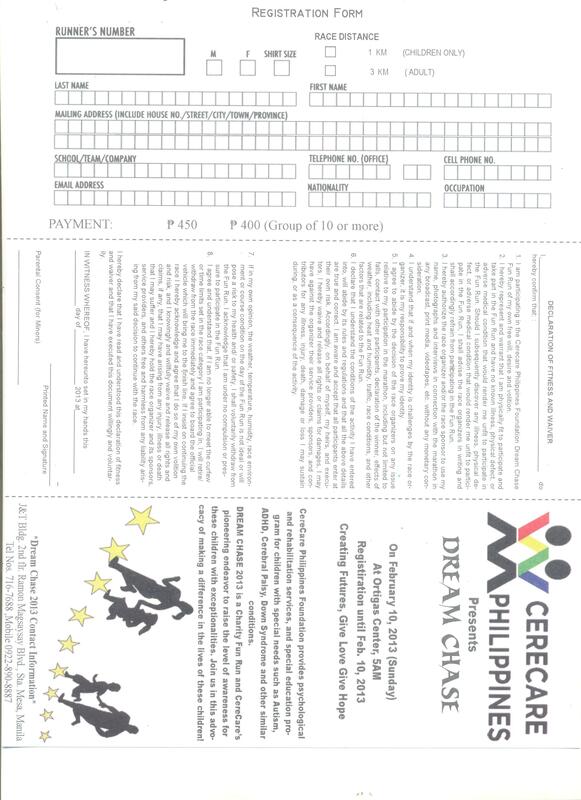 DREAM CHASE 2013 is a Charity Fun Run and CereCare’s pioneering endeavor to raise the level of awareness for these children with exceptionalities. Join us in this advocacy of making a difference in the lives of these children.